“Middle-East Libraries” is the result of this ambition, which was confirmed and backed up by the scientific council which it decided to bring together, in order to explore this subject in all its amplitude and complexity. Twenty-one specialists associated with twenty-four library professionals have contributed to the constitution of this library and have enlightened it with their knowledge, to make of it a source of knowledge and inspiration for one and all. It is for researchers, teachers and students, whose use of it will part of the core founding missions and values of the Bibliothèque Nationale de France. More generally, it is for all those who want to broaden their understanding of this region of the world, in its historic depth, so as better to grasp current events. Apart from the inherent interest in constituting coherent documentary and iconographic collections, bringing together so many riches offers the promise and opportunity for research and discovery, as described by Jacqueline Chabbi and Rémy Arcemisbéhère in the pages they have written for this site. The fact that, right from the moment of its creation “Libraries of the Orient” incited so many revelations and such a desire to establish rapprochements, comparisons and new analyses, is a great satisfaction for us, a motive for pride and an encouragement, communicated to us by the world of research, to continue along this road that has now been opened up. With almost 7,000 documents online, coming from nine collections, “Middle-East Libraries” is the first step in the project. The Middle East in question covers, geographically, the Levant extended to include Iraq and Arabia Petrea, and, chronologically, a century and a half of history, from 1798, with the Expedition of Bonaparte to Egypt – standing as the first act in a direct European presence in the Ottoman Empire, if we exclude the “Capitulations” – until 1945. Relationships with France, from the easiest to the most controversial, constitute the main backdrop, and are examined in over eighty contributions written by recognised specialists, but also students taking their PhD, and all of them have been translated into Arabic and English. To make the whole more limpid, the site has been organised into seven themes. The first of them is the “crossroad” formed by this Orient. 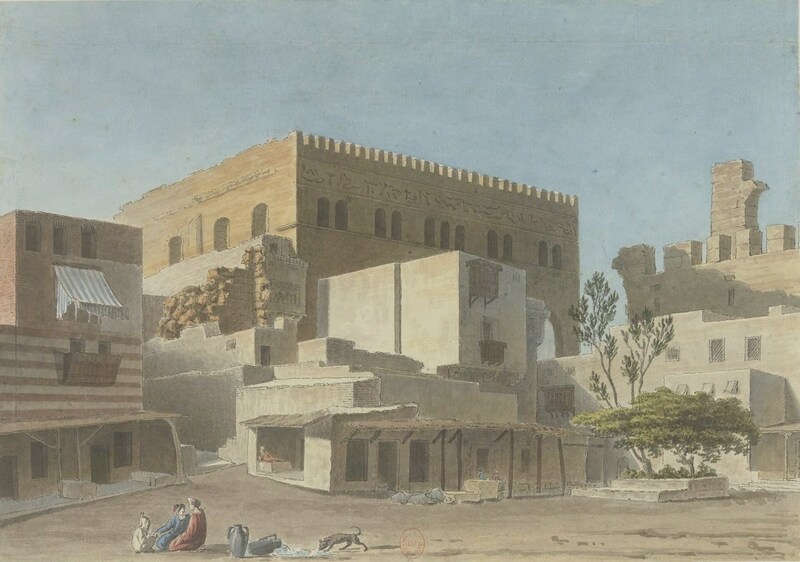 Much room has been given to sites: cities, of course, such as Alexandria or Constantinople (Istanbul), but also crossing points, journeys, and "expositions universelles". The richness of these “communities” is then illustrated by some exceptional albums and collections of oriental costumes conserved in the Department of Stamps and Photography, which attracted the admiration of western travellers. The discovery of ancient Egypt, the development of Oriental archaeology, and the acquaintance with Oriental languages and cultures are all essential themes, which are dealt with in the “knowledge” section. “Imaginary” then complete this itinerary, with architecture, photographers, the Thousand and One Nights and writers. The Orient, inseparable from the construction of the Occident, also became inseparable from the history of French literature. It is this conception of travel and the East, developed in “the writers’ Orient”, directed by Sophie Basch, which is illustrated by the narratives of Chateaubriand, Lamartine, Nerval, Gautier, Flaubert, Gobineau, Loti, Barrès and, by extension, the novels and poems of Balzac, Victor Hugo and Alexandre Dumas. The Orient of “religions” on the other hand provides the opportunity to celebrate foundation texts, which are unique and rare. In it, the public will discover Hebrew manuscripts, which have recently been digitized as part of a large-scale cooperation between the Bibliothèque nationale de France and the National Library of Israel, several Qurans, conserved in the Department of Manuscripts, and originally from prestigious collections, or else works and objects illustrating the life of the Eastern Christians. This rich series of digitized documents, as well as some of the works and objects that make it up, will be displayed exceptionally during the exhibition "Chrétiens d’Orient, 2000 ans d’histoires" at the Institut du Monde Arabe (IMA) from 26th September 2017 to 14th January 2018, then at the MUba of Tourcoing, from 17th February to 5th June 2018. I should like to thank the President of the IMA, Jack Lang, and the Minister of the Budget and Public Accounts and the Mayor of Tourcoing, Gérald Darmanin, as well as their teams, for the interest they have shown in this project. The site “Middle-East Libraries” will then extend this adventure. It will expand by adding new documents as of 2018, so as to deepen or develop certain themes which are currently under-represented. The collaborative aspect of this site also means that it is possible to envisage new contributions, above all on political questions, confided to Henri Laurens, so as to complete the material on the campaign in Egypt, the Franco-Syrian Treaty of 1936 and the rise of nationalisms. At the same time, more documents will be digitized, in the collections of our current partners, but also from new French and foreign partners, who have informed us of their desire to join this marvellous collective adventure. As a valorisation project and research tool, this site is also intended to display the BnF’s solidarity with heritages that are currently under threat. It guarantees the lasting safety of the documents that have been digitized for the project, by using quality standards that are identical to those used by the BnF for national collections. What is more, prior to digitization, the BnF has also contributed to a work of restoration. After the manuscripts of Timbuktu, on which the BnF has been working since 2013, alongside UNESCO, this new project is contributing to safeguarding a religious heritage which is in peril in Iraq and Syria. Two Syriac liturgies from the 11th and 7th centuries, as well as two Gospel Books from the 14th and 16th centuries, conserved in Lebanon, have thus been restored and digitized, with the financial support of our sponsors, the Fondation Total and Plastic Omnium, along with the participation of the Œuvre d’Orient. It is also in this spirit and with this conviction that the BnF has initiated its programme “Shared Heritages”. Safeguarding more exceptional documents, making them accessible anywhere and to anyone, while understanding them better in the light of the most recent research, such is our ambition for “Middle East Libraries”, as it was for the projects that we previously developed with Brazil, Japan and Poland. “Shared Heritages”, a genuine digital BnF collection, which we have conceived to safeguard and share these treasures, is now offering its fourth opus with “Middle East Libraries”, which I am sure will provide one and all with a thousand and one delights.